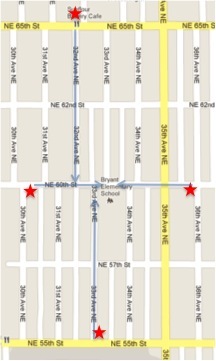 Bike to Bryant is a parent group that promotes walking and biking to school. 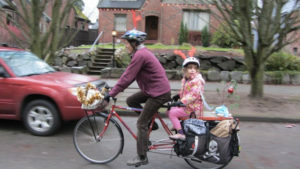 Walking and biking creates a comfortable and safe environment in our neighborhoods and fosters our kids’ independence. We organize activities for Walk to School Month in October and for Bike to School Month in May. 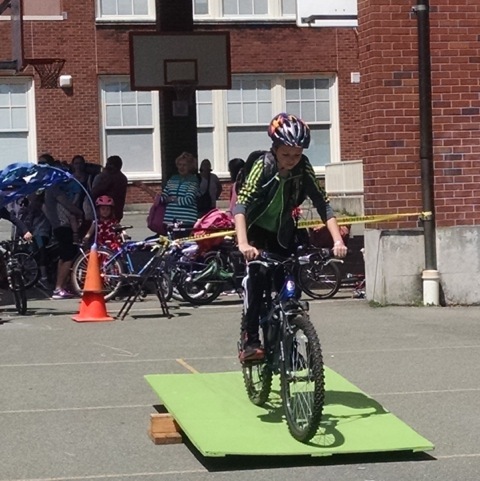 These are funded by a Safe Routes to School mini-grant from the Seattle Department of Transportation (SDOT). Why walk or bike? It’s fun! 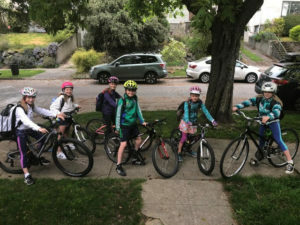 It’s healthy, too, and it promotes a safe environment around the school by reducing car traffic at drop-off and pick-up times. 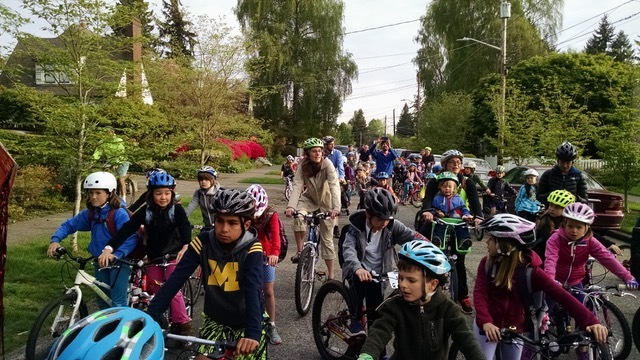 A school with a strong culture of walking and biking also increases awareness among drivers. Contact Katie Boyes and Windy Proctor for more information, or if you’re interested in helping to lead these avid walkers and bikers! Beautiful fall weather graced our Walktober events to celebrate Bryant walkers this year! 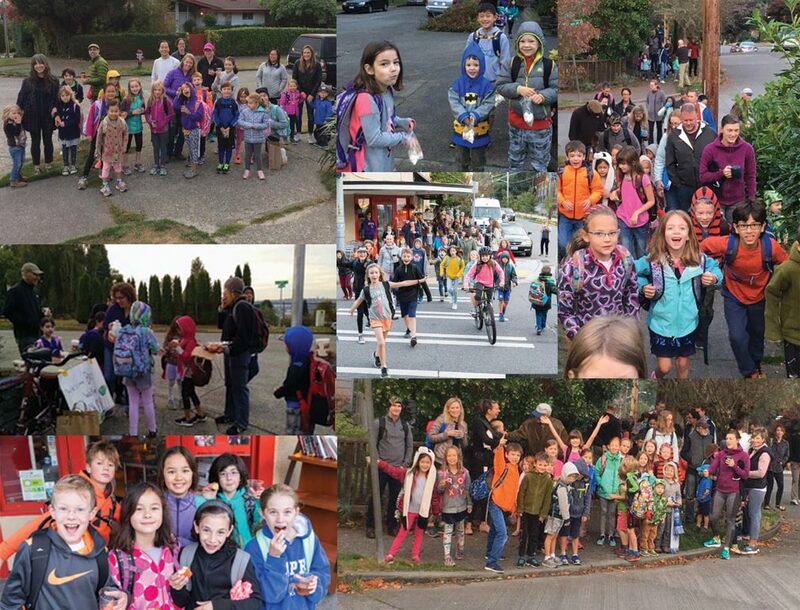 Each Friday morning over 100 Bryant students visited one of our four walking stations, had a treat, visited with friends and neighbors, and headed to school together. We thank everyone who helped with the stations, as well as those who stopped by a station. 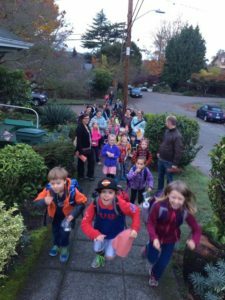 It is great to see a large contingent of Bryant walking to school – not only does it help cut down on car traffic during drop off, it’s also a fun to start the day with fresh air and friends. As the coming months grow darker and wetter, stay warm and happy — keep on walking to school! Bike Month 2017 by the numbers! In total, they made 1159 roundtrips. This amounted to roughly 2000 miles — which would get you past the Arctic Circle or to the southern tip of Mexico’s Baja Peninsula. All that bike riding took 392 hours, or 16 days. 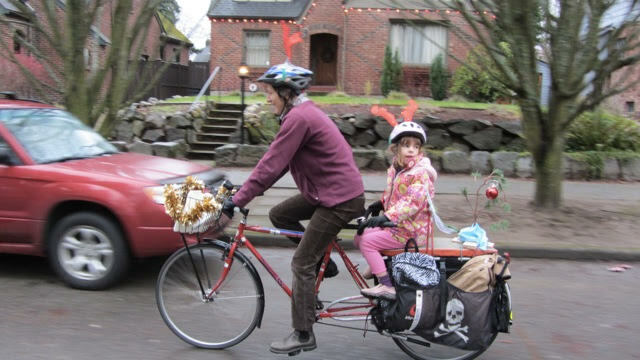 2 students each biked 100 miles in May – not even the Bike Fairy is sure she biked that much! Ms. Kearney’s class won the Crank Arm trophy for class with the most trips. 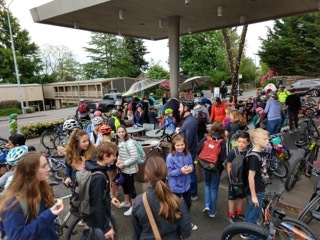 28 students rode their bikes everyday – Congratulations to Tyson A., Sonja A., Sebio A., Naomi B., Walter B., Eleanor B., Maggie B., Milo C., Charlotte C., Gianina D., Rian F., Tristan F., Emma F., Ian F., Jackson H., Evan J., Jojo J., Madeleine M., Olympia L., Murrow L., Nicolas L., Vivienne L., Orli P., Ramona S., Diadora S., Sydney W., Pola Z., and Zoja Z. We are proud of all of our Bryant bikers, and thank them and their parents for continuing the Bike Month tradition at Bryant. Keep on pedaling in the summer, and we’ll see you in the fall with Walk to School programming!